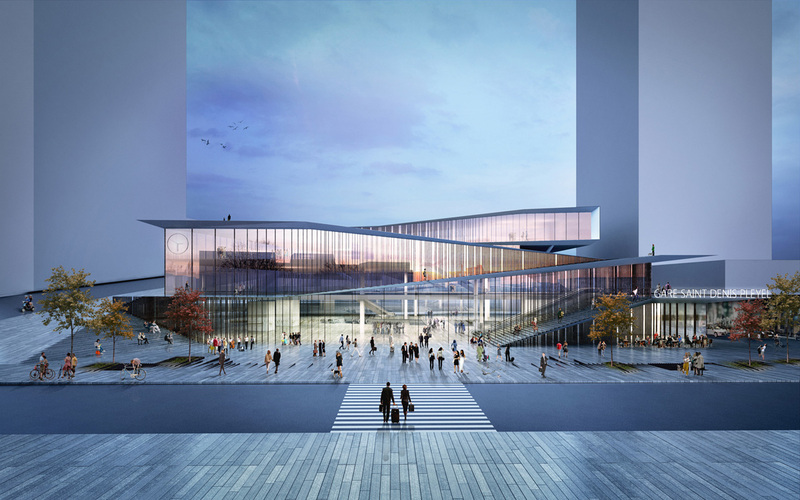 Kengo Kuma & Associates won the first prize for the competition “Saint-Denis Pleyel Emblematic Train Station” in Saint-Denis, France.The train station will be the first stone of a future global urban project in the site of Saint-Denis Pleyel. It will enable the site and the city to increase its metropolitan scale significantly. 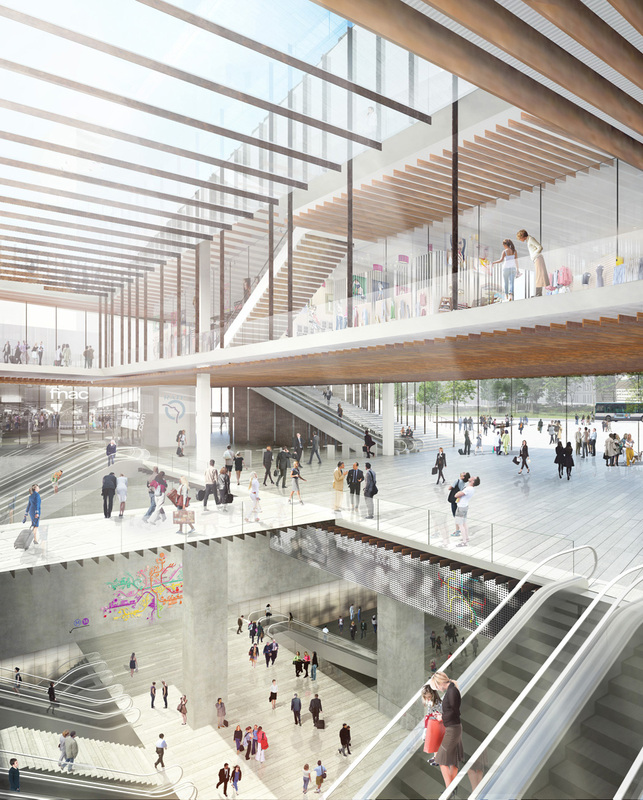 The project is designed as a unique opportunity to open up the district by connecting the two sides of the city over a huge railway network of the Parisian North station. The station becomes an extension of the public spaces on many levels. 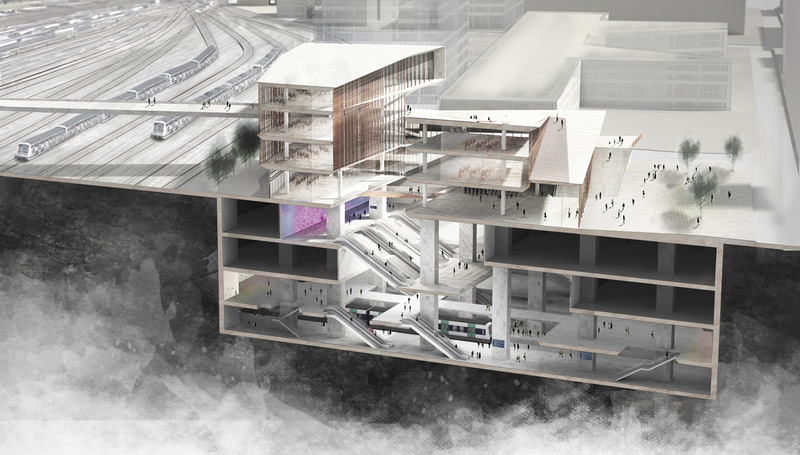 Multiple levels continue in spiral, so the station functions as a complex that brings in streets in vertical layer. Steel frames that evoke rail tracks are used in the curtain wall and many other parts of the structure, to emphasize the passage of time and history. This approach will make people be aware that the station is theirs and give them pleasant passing-by every day, connected with the network of the city. Through a multi-sensory sequence of spaces, stressful daily metropolitan movements will be changed to an open and interactive experience. 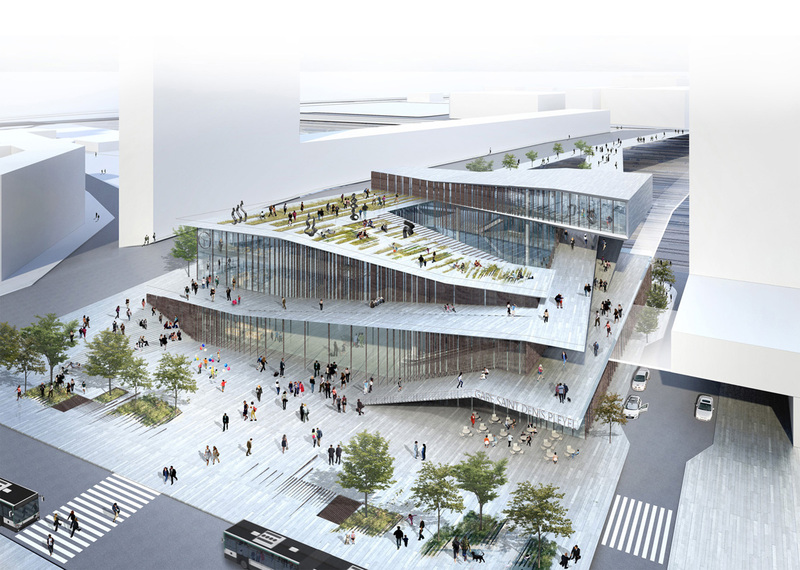 From this project, the station will be a new center of the city, and its complementary program will bring about a dynamic social and cultural dimension to the district of Pleyel.